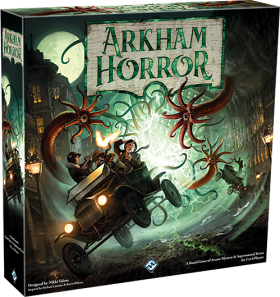 Arkham Horror Third Edition is a cooperative board game for one to six players who take on the roles of investigators trying to rid the world of eldritch beings known as Ancient Ones. Based on the works of H.P. 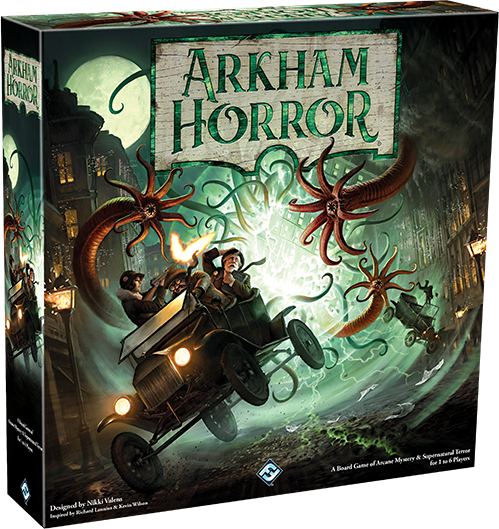 Lovecraft, players will have to gather clues, defeat terrifying monsters, and find tools and allies if they are to stand any chance of defeating the creatures that dwell just beyond the veil of our reality. 7 Wonders: Cities, the second expansion for 7 Wonders, includes optional team rules, a new type of card (black, representing the remains of cities), and new cards of old types (two new wonders: Petras and Byzantium, new guild and leader cards associated with black cards). This expansion is more aggressive, with greatly increased interaction between players, who are still trying to score more points than anyone else. 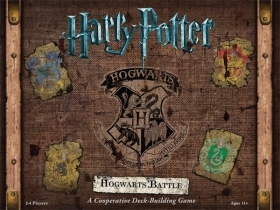 With the team rules, you can play with up to eight players, with the players divided into teams who sit next to one another so that they can choose the cards of most use to them. 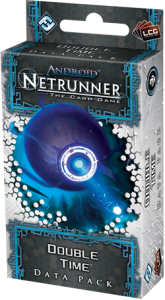 Double Time is the sixth and final Data Pack in the "Spin Cycle" for Android: Netrunner, and it introduces a handful of powerful Double events and operations. Doubles all require their owner to spend a click to play them, in addition to their normal costs, meaning they're high-risk gambles in a game that's as full of bluffs, counter-bluffs, risks, and gambles as Android: Netrunner.